What does a small town in eastern Indiana have in common with an impoverished West African nation suffering through a horrific civil war? Eugene O’Connor, professor of journalism at Indiana University, wakes one morning in May 1989 to learn his world has been turned upside down. His goddaughter has been found dead, presumable from suicide. The same morning he is visited by a stranger who demands that the professor return with him to West Africa to see the stranger’s aunt, Margaret Mahoney, who is on her deathbed, pleading to see O’Connor one last time. Margaret had been the love of O’Connor’s early life when he served as a Christian Missionary in Africa in the 1950s. Torn between finding out the details of his goddaughter’s death and seeing Margaret once again, O’Connor must confront the heartaches of his past and a dilemma he couldn’t have imagined in a thousand lifetimes. 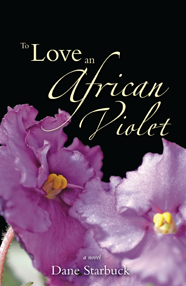 To Love an African Violet is a novel of mystery, adventure, love, loss, and ultimately one man’s quest for spiritual understanding, It is a story of the human condition told through the lives of Eugene O’Connor, Margaret Mahoney, and the Reverend Francis Tannen, a Jesuit priest as complex, base, and bizarre as the chief character Kurtz in Joseph Conrad’s Heart of Darkness.